That was a Facebook post that went up with a picture of my tickets. Yes, those were my seats for this past Saturday night. It was one of those weekends where Jake was at his Dad’s so I did the full Buffett experience. My partner in crime loaded us up in a convertible Mustang and we headed off to Tampa for the day. We tailgated with the other Parrotheads, consumed quite a few adult beverages and watched the fun around us unfold. 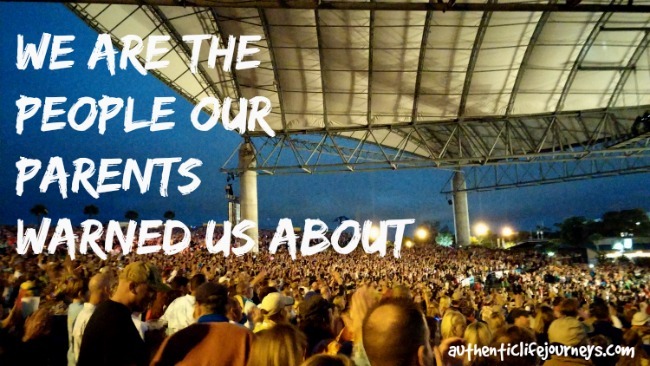 The whole concert experience is really two-part adventure. First there’s the pre-party that happens before the show and then there’s the concert that goes on around the party on the inside of the amphitheater. My last one looked like this: ^^^^^ Fins up Dude …. Nothing made it past the draft stage and ended up in the trash pile. Not exactly what you’d call compelling content. 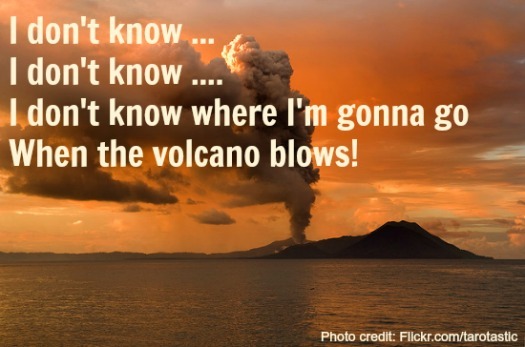 So as I sit at my laptop listening to the 141 Buffett tracks in my playlist, all I can think about are some of my favorite posts that I’ve written about how Buffett has affected my life. Like this one – We are the people our parents warned us about. These were the words on the shirt I wore to the concert. So tell me I wasn’t thrilled to hear him sing this song Saturday night. I can’t get this song out of my head. 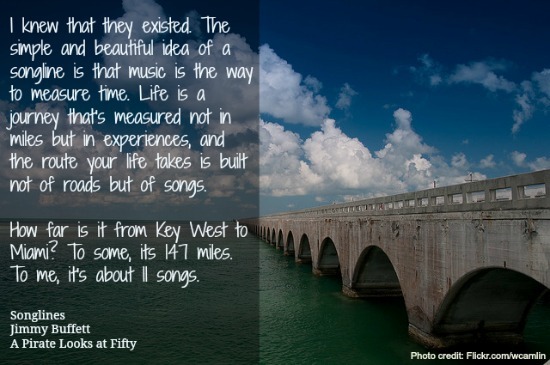 I’ve been reading (or really re-reading) the book called A Pirate Looks at Fifty by Jimmy Buffett. “Oh like that’s a surprise,” says my regular readers who’ve clicked into my Buffett and The Parrothead section of this blog. I was reading the part in the book where Buffett talks about his parents and the expectations they had for him when he became an adult. I started thinking about my parents and what they think about where I am in my life. I can honestly say that neither one of my parents really understand the social media work I do but they get the concept of marketing, so I guess we’re halfway there. And then there’s this one about what it feels like to raise a boy – I Don’t Know Where I’m Gonna Go. Me: Why did you slide into that pile of pillows when I told you not to play baseball in the house? Me: How do you not hear me when I’m standing right in front of you? We have now reached the ‘I don’t know’ phase in life. I admit, I did a good job of handling the “Why?” stage that came a few years ago. I like to think I’m pretty smart so I actually answered his why questions. If I couldn’t come up with an answer, I’d turn it back on him and say, “Why do you think it is?” That one usually got him to stop asking me questions and if I was lucky, a few moments of silence. But I think this has to be my favorite – Songlines. I’ve never heard that word before until I read Buffett’s book but I get it. I totally get what it means. I love the idea of Songlines. The original book was written by Bruce Chatwin but I tend to fall in line with Jimmy Buffett’s camp with his definition in the quote above. For those of you new to this blog, you probably think I’m going to launch into a list for the soundtrack of my life. But that’s just too predictable and not how we do things here. Ever since I was a little girl, I had a strange connection to music. My parents like to tell stories about my fascination with the radio. I’m not talking about the fact that I liked to listen to the radio all day (and that weird factoid is still true today!) but I would pretend to be ON the radio. 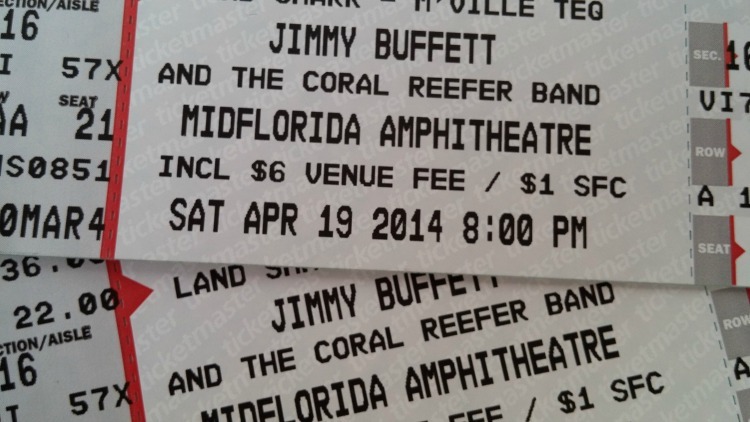 I really needed the Buffett experience this weekend. The Parrothead gods always seem to find a way to make things right in the world again. So glad you made it, Hula Girl At Heart, I’m putting that book at the top of my summer reading list. I haven’t read that one, but will add it to my list. You mean Buffet has songs other than Margaritaville? Who knew? Glad you enjoyed the concert. I would have liked to have heard more about it. It sounds like the way you feel about his music is similar to the way I feel about Springsteen. I could have shared the concert experience more but it’s hard to explain. When you’re there in that crowd, singing the songs and being a part of that moment, there are no words I could find to write that out. Maybe I’ll think about that some more to find a way to share it. Did you get Springsteen tickets? I hear he’s touring now. When he comes to this area, I will definitely do what I can to get tickets. I’ve heard from friends that he puts on a great show. I’ve seen some video on Facebook from the people who saw him in NC. Then when you go, I’ll want to hear all about that! I’ve seen him about 15 times. Its a show you should check out at least once if you like his music at all. P.S. I heard the end of a Buffet song today and thought of you.